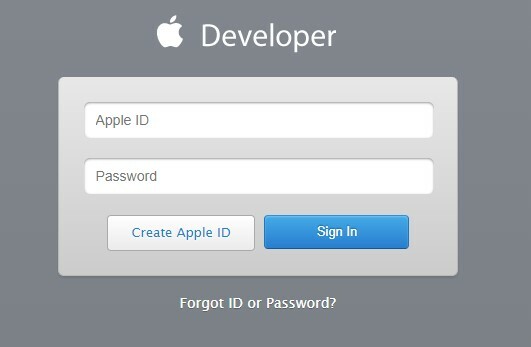 Select the "App ID" that should be connected to the Apple Push notification service by selecting the respective entry from the drop down menu. After the "App ID" has been selected continue the process by clicking on the "Continue" button. Create a .csr ( certsigningrequest ) File on your Mac device according to the instructions shown. Upload the respective .csr file via the "Choose file" button. Continue the process by downloading and saving the Certificate file ( .cer ) on your local hard drive. Finish the process by clicking on the "Done" button. Add the ( .cer ) file to your keychain by doubleclicking the respective file. Select the "Private Key" Tab in your keychain and search for the added entry. 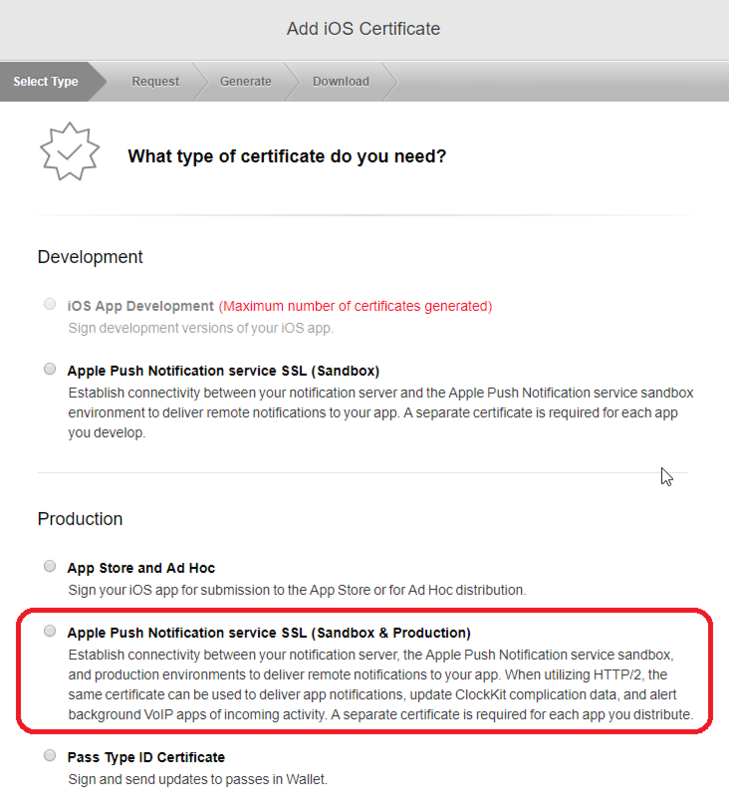 Right-click on the respective entry and select the „export Apple Production IOS push services“ Option. This option will allow you to export the „Personal Information Exchange ( .p12 )" file to your device. Add the „Personal Information Exchange ( .p12 )" file to your keychain by doubleclicking the respective file. Right click on the newly added entry and select the „export Apple Production IOS push services“ option again. Export the file as "Privacy Enhanced Mail (.pem)" and save it to your device.